Our school features many programs for musicians. We make learning fun by allowing hands on experiences and tutors from more advanced classes. 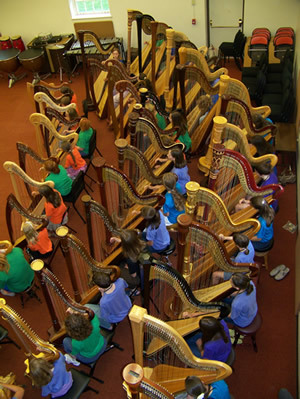 We offer classes in string instruments such as harps, guitars, cello, and even bass. We also offer piano classes, percussion, and brass wind instrumental classes. Some of these in cluse clarinets, flute, and oboe classes. There is much more to see. Come view the campus today or check our calendar for upoming events.